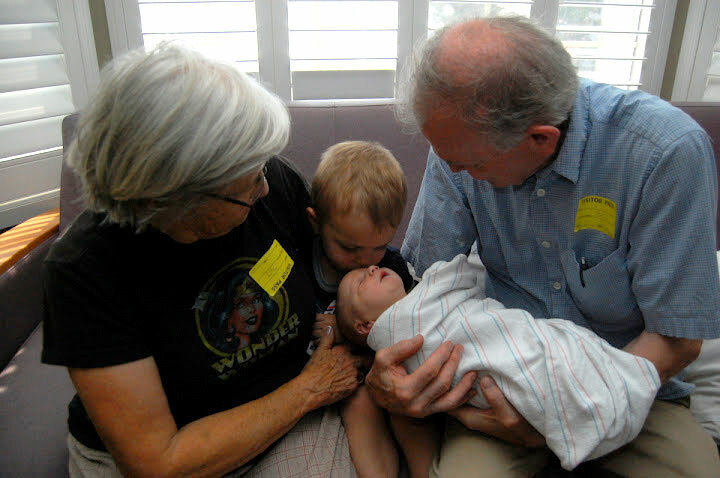 Above: Lucy Jane gets a kiss from her oldest brother while Grandma and Grandpa look on. So we had a baby girl. I’m pretty speechless about the whole deal. I’m proud to have a little girl to raise. That I can tell you. For a long time I thought I’d probably never have a daughter, because I was pretty sure I’d make a poor father for a little girl. Funny, isn’t it, the reasoning we come up with after we’ve decided that we won’t ever have certain things? So she already has me wrapped around her finger. She’s quiet and healthy and hasn’t made us too nervous about her well-being. When we adopted her oldest brother Ben, we got the call that it was time to drive down and pick him up from his birth mom. That made me nervous about his birth mom’s well-being, and I wondered how we could be so fortunate to be able to raise him. When Hugh was born to us next, it was a slightly overwhelming gift, because I had been thinking that we might just have to adopt our entire family. Soon after his birth, though, it looked like he might not live, and he had to spend a week in a big hospital two hours away. When he made it through that, I was shocked and nervous in a “fingers crossed that this still works out OK” sort of way. A couple of years earlier we had buried twin daughters in the local cemetery. But Lucy, she made it with room to spare. And she’s been pretty easy so far—outside of the womb, that is. 3 hours of pushing was a bit of an ordeal for Mom. Above: Lucy brings presents for her two older brothers. A friend made some neat gift bags for the boys. We hope this pleasant exchange means they won’t hit her or do stuff like that. 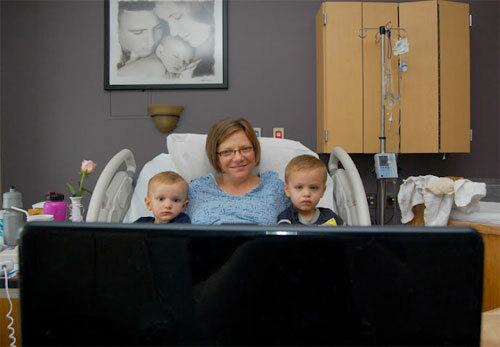 Above: Mom makes the boys watch the birthing video. Just kidding. It’s a cartoon about choo choo trains. 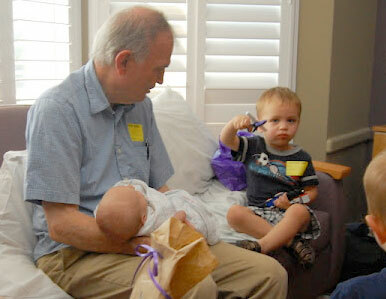 But they were slightly freaked out by the hospital room and new baby. 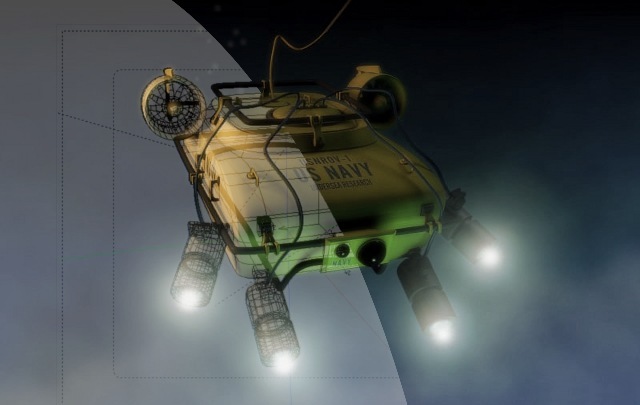 By Marc Carson, Wednesday July 11, 2012.